I don't like when people refer to oval helmet logos as rugby balls.. even if a particular team formerly used a football shape, their current is just an oval.. OFOS.. ovals can and do make good helmet logos, and that's a justifiable enough reason to use them.. I highly doubt anyone ever said "hey, I know our football shaped logo looks good, but it would make so much more sense if wet instead used a rugby ball shape"
This still hasn’t been updated by NHLuniforms, but the last season of those, the white jerseys had added green sleeve cuffs. The Florida Marlins are overrated. Teal/Gray/Black doesn't work for me. Plus, the teal is literally impossible to read on the gray without a black outline (as demonstrated perfectly on the primary logo). Not a huge fan of either the Marlins or Florida script, and I will never liked vest jerseys. I honestly think this new rebrand is the best the Marlins have ever looked. 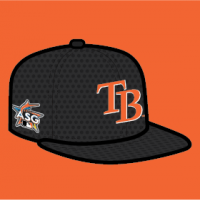 The biggest thing I would change is making the cap logo the primary, but other than that, it beats the Florida era by a mile. The Angels should go back to using Anaheim, and specifically the 2002-04 logo. It looks real nice. The Devil Rays don't actually look good. They have a good start (and Devil Rays beats "Rays of Light" any day), but the gradient isn't great (maybe if it was just purple to blue/green, no yellow) and dark green + dark blue looks ugly. Ducks > Mighty Ducks. I think the Ducks look great, and black and orange works wonderfully together. The cartoon throwback logos look awful, no matter what team they're used by. This goes for Pittsburgh, Buffalo, and the Islanders. To add onto the point above, Robo-Penguin > stupid cartoon skate-y bird. The name "Wild" isn't bad, but it's not great. DC United needs a new logo. Already. They've whiffed so many times. This is the best they've ever looked, but it still needs improving. The Union adding a gradient is stupid and they made their logo significantly worse. The Revolution logo is fine. Real Salt Lake is the dumbest name in sports. Ever. Sporting Kansas City is the second dumbest name in sports. The Cowboys' use of like four blues is really dumb and needs to stop. Tradition means nothing if that tradition is stupid. The biggest problem with the Bucs' current set the font. If the font gets fixed, they'd look fine. The Saints' all-black combo is really bad. Black over gold looks amazing, and they should dump the all-black forever. If the Panthers drop silver, they will have the best look in the NFL. Every combo not using silver looks beautiful, especially the blue over black look they debuted this year. The Timberwolves have the best logo in the NBA, with the Hornets at a close second. I really like a bunch of the City and Statement jerseys so far. Specifically the Heat City (and Earned) jerseys, the Utah City jersey, both Chicago City jerseys, the Charlotte Statement jersey (I have one! ), and both Sacramento City jerseys. If it weren't for the Thunder, the Mavs would have the worst logo in the NBA. The Brooklyn Nets look great and black/white is a really underrated color scheme. So what if I told you most MLS nicknames are knockoffs of European Teams? Then again Real with would work better in a city named in Spanish. The gold based is just next level and looks good vs all teams as it's not just a generic white jersey but one with character. That's exactly what they are, and while I don't mind "United" or "FC" as long as it's not overdone, Real only makes sense in Spanish (I think) and Sporting is just stupid. I don't mind ads on uniforms, unless it's the predominant logo (like soccer, the WNBA). That's one reason I'm not a soccer fan. It makes the team look like their name is XBOX or Herbalife. I'll grant you, most of the North Stars uniforms were basic enough to look like they came from a sports equipment catalog. That's something you can generally get away with when you have awesome and unique colors, but the black really muddied up the look. Ironically, I became a North Stars fan when they wore black. I started following hockey the last year they played for the Stanley Cup and I thought "North Stars" was the coolest name I'd ever heard of for a team. Their colors were still pretty close to the Packers too, which was definitely a plus. 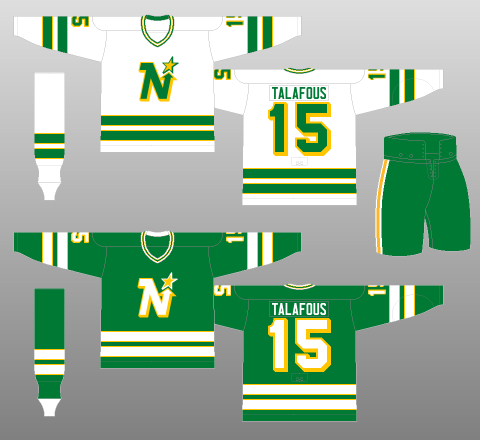 I'll even say (in hindsight) that pretty much all of the North Stars uniforms could have been executed better. But I don't think anything they ever wore crossed the line into questionable taste like, say... Cooperalls, Vancouver's "Flying V," and most 90s alternates. I agree with you, the Bombers have looked real good for a while (away). Royal blue is much better than the navy, though. 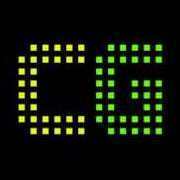 Love the current home ones. I think Hamilton is another team that could pull off going back to gold for away jerseys. 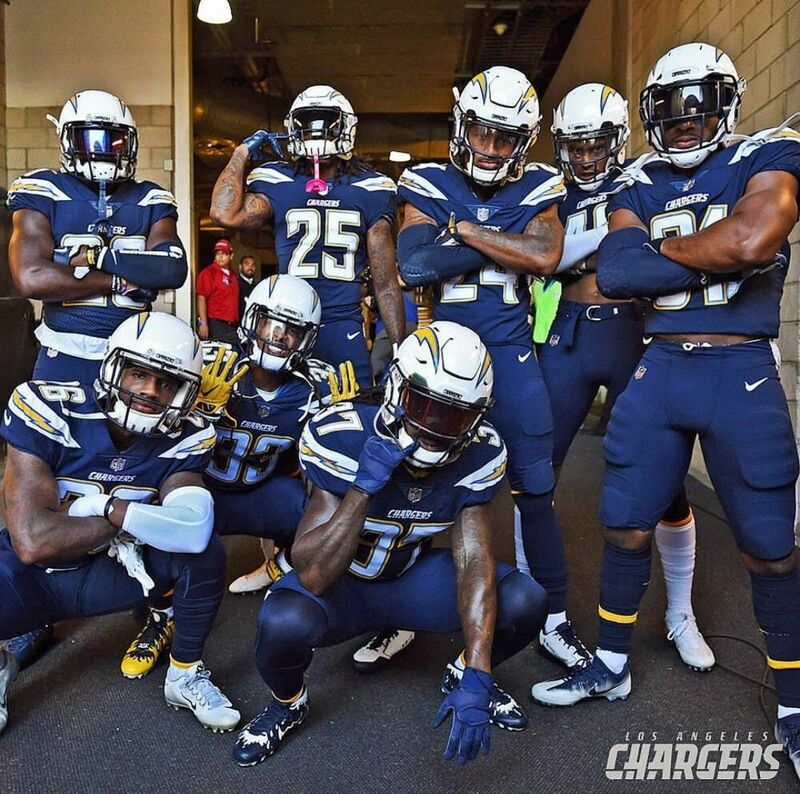 The chargers have one of the most complete looks in the nfl, I agree. I like the Color Rush version myself. It's just bright enough, and the navy is a little too dark. I'd be totally cool with them going to that royal shade full-time except I feel like it wouldn't provide enough contrast with the powder blue, and I don't want them dropping the powder blue. First time I’ve ever seen this uniform, but I kinda like it. I think I like it for the simple fact that the number and name fits with the shape of the jersey vest. Also, what year is this from? Two different sports, same state, same color scheme (relatively), same colored alternate jersey. I love the Patriots red alternate throwback uniforms, but hate the Red Sox red alternate jerseys. Word. Another reason I'm not a soccer fan. Just plain lazy.